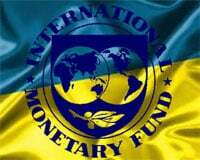 However, this only confirms an earlier assessment, made public on October 28, about which Reuters headlined at the time, “Ukraine unlikely to receive IMF loan tranche this year: finance minister.” And this was already “after warning in September that if Ukraine’s conflict with the separatists runs into next year, the country may need as much as $19 billion in extra aid.” Ukraine has made clear that it will continue the war, and so the additional $19 billion will also need to be paid to Ukraine in order for its war against the “separatists” to continue. This rejection comes as a severe disappointment to the Ukrainian Government, whose central bank chief said on November 16th, “I am still optimistic about us being able to do it [to receive the third tranche] this year.” Clearly, that expectation won’t be able to be met. So, since Ukraine is nonetheless now gearing up, with American taxpayers’ money, to replace its weapons-supply that was used-up or destroyed in the war to-date, and also to build an immense new military graveyard for a planned 250,000 corpses of Ukrainian soldiers in the next and future rounds of invasions against the rebelling region in Ukraine’s (former) southeast, the IMF is basically quitting continued financing of that ethnic-cleansing campaign against the residents in that region. The EU has already quit funding it, other than a token half-billion-euro donation delivered on December 10th. Only the U.S. remains committed to funding it, by donating whatever weapons and military guidance are deemed necessary in order to conquer, and/or to expel, the pro-Russian residents in Ukraine’s former southeast. 98% of the U.S. House voted for it, and so did 100% of the U.S. Senate. At least 67% of the U.S. public are against it.